Danny Ings' four-goal contribution to Liverpool U23s' 7-0 win over Bristol City on Sunday came as 'no surprise' to boss Neil Critchley. 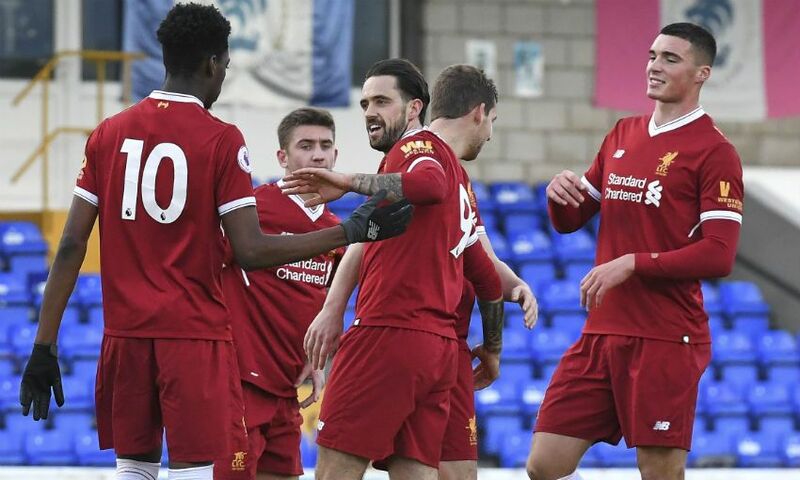 The 25-year-old bagged a first-half hat-trick and added another strike in the second 45 minutes as the young Reds recorded their first victory of this season's Premier League U23 Cup group stage. Yan Dhanda, Conor Masterson and Harry Wilson also contributed goals as Critchley's team claimed a big win at Chester FC’s Swansway Stadium. But it was seeing Ings back on the scoresheet after a luckless run in front of goal that most delighted the coaching staff. "Danny deserved that today and we have said the goals have been coming for him,” Critchley told Liverpoolfc.com. "For him to score in the first minute of the game, we were all genuinely made up for him, and you could see the confidence to start flow through him after that. "His second effort was a typical striker’s goal in the six-yard box and his hat-trick, what a fantastic goal that was, a great finish, and then he gets another one in the second half. "It's no surprise to us because Danny is a constant threat. He puts himself in goalscoring positions and he is a good finisher – we see that in training, so we are absolutely delighted for Danny. "His all-round contribution was superb. Danny and Flanno [Jon Flanagan], two top professionals and top people, they coach the lads during the game and they make my job easier. "Even when we are winning the game you can hear Flanno chatting to the boys about keeping possession and keeping it simple, and Danny was dropping back into midfield and keeping the ball. "They coach the players on the pitch and they are a pleasure to be around and it’s great for us to have them with the U23s." Critchley was particularly pleased to see his players produce a convincing response to their 2-1 defeat by Leicester City in Premier League 2 last weekend. He added: "I was delighted with how we started because that was our message to the boys going into the game - our attitude and our approach had to be right. "We had to show a response from the defeat against Leicester City last weekend and I thought we did that in emphatic fashion. "We scored some fantastic goals, kept a clean sheet, and what was really pleasing is even when we are 7-0 up you saw players like Flanno and Matty Virtue flying back in the final minutes of the game to get back and help the team. "That was probably the most pleasing aspect of the whole game for me." The coach also had words of praise for Harry Wilson, who added his ninth goal of the campaign and provided two assists. Critchley revealed he had planned to take the 20-year-old off at half-time to give him a rest ahead of playing for Wales U21s, but the player's desire to stay on the pitch forced a change of tack. He explained: "Harry has got some international games coming up and I said to him I might take you off and save your legs in the second half. "That was met by not the nicest of responses from H who told me in no uncertain terms he wanted to stay on, and thankfully he did because he deserved his goal. "He hit the post, he put one just wide, and he was unlucky with that effort from the halfway line when the goalkeeper was out of his goal. I thought it was in from the bench! "He scored a great goal right at the end. As soon as Harry cuts in from the line and links up with Danny he gets people off their feet because you always expect something to happen."